This is a great resource that offers you 5 lists of prefixes to play each game with. You have to match the prefix with its root word. At the end you will see a summary of all the new words you have created. 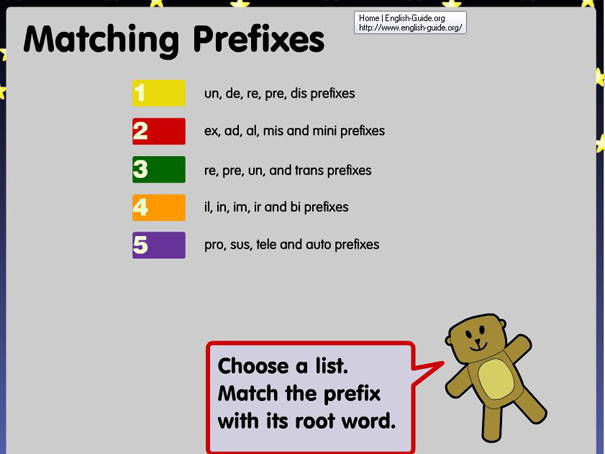 Go through all 5 lists and practice all the different types of prefixes in English.